She had never seen a toy or even been inside a house — but all that changed six weeks ago. Leading her very own parade down the streets of her town, Victoria the German shepherd couldn’t help but smile. 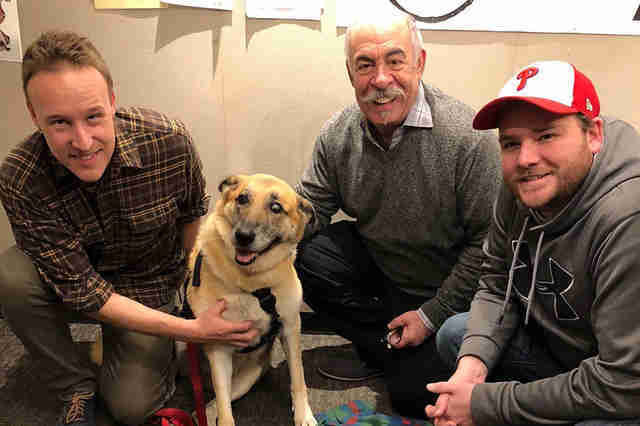 As the newest honorary member of the Norristown, Pennsylvania, fire department, the 10-year-old rescue dog welcomed pats from firefighters who stopped to say hello — and she made sure to show how much fun she was having. Although she couldn’t walk the route due to a disease that’s weakening her legs, Victoria happily rode on an ATV with a special banner hung across the front. Crowds of adoring fans stood at the sidelines cheering her on, and kids even held up posters to show their support as she rode by. 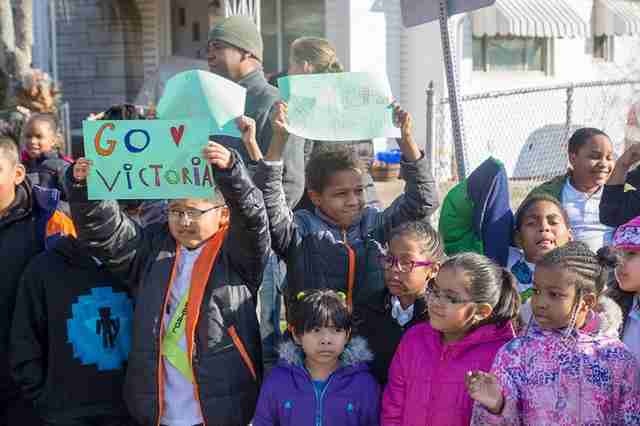 “Go Victoria!” and “We Love U” were some of the slogans they had hand-drawn across the signs. The kids heard that Victoria was sick, so, naturally, they wanted to brighten her spirits. But it quickly became apparent that it doesn’t take much to make the dog smile. 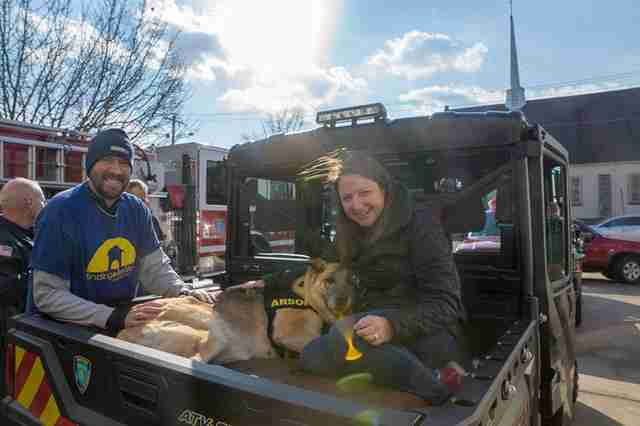 This special parade was just one of the many bucket-list activities Victoria has done over the past few weeks, thanks to her foster mom Grace Kelly Herbert — and one community that wants to give the sick dog all of the happy experiences she never got to have. Victoria lived outside and had never been inside of a home. She barely got any exercise and had never seen a toy before. She continuously gave birth to litter after litter of puppies with little to no veterinary care — even when she was bit in the eye by another dog and got her foot ran over by a lawnmower. 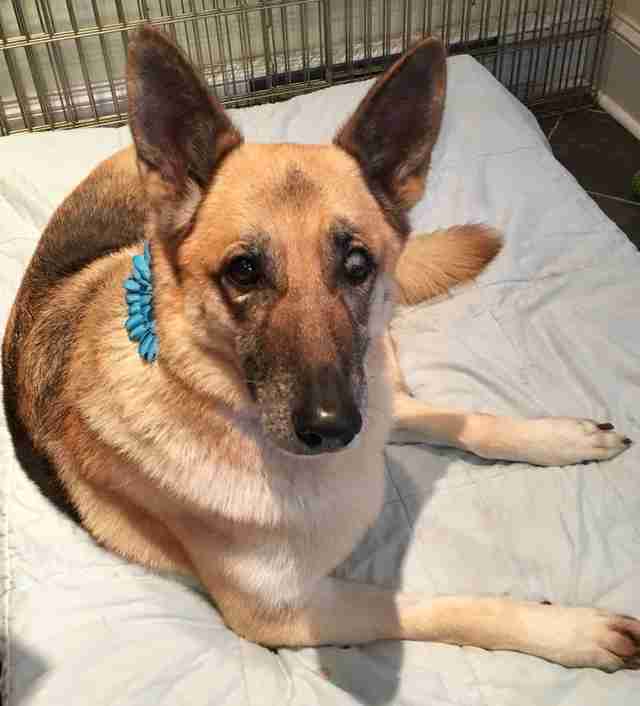 These injuries left her blind in one eye and with a permanently deformed front paw. Over the years, her roughly 100 puppies were sold as pets to unsuspecting buyers — but Victoria was stuck there indefinitely. 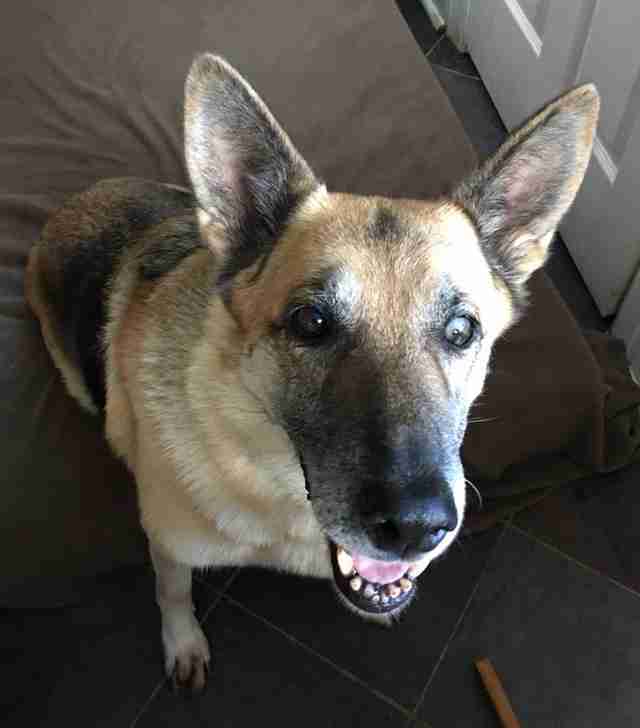 At 10 years old, she was no longer able to have puppies, so the mill no longer had use for her. 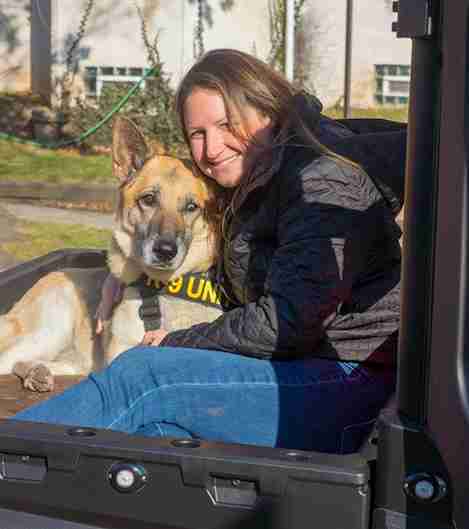 When Herbert, cofounder of Finding Shelter Animal Rescue, traveled to the farm to pick her up in October, Victoria was petrified and crammed into a tiny crate sitting out on a driveway. The farmer wouldn’t allow Herbert and fellow rescuer Peter Egan further onto the property, but they knew there were a lot of other dogs there. Covered in fleas and unable to walk, all Victoria could do in the presence of people was shake and growl out of fear. 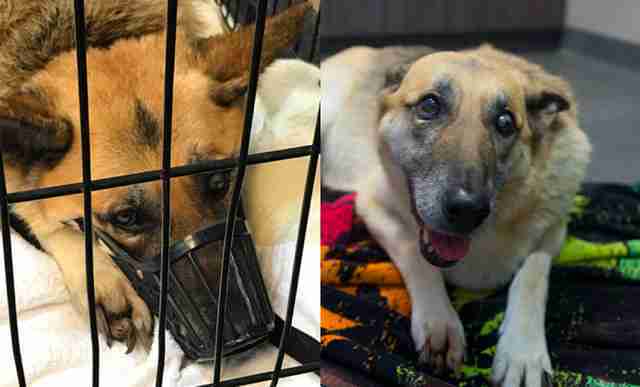 No one knows how long Victoria was locked inside that crate, but with several weeks of veterinary care she regained some mobility — and, most importantly, learned how to trust humans for the first time in her life. 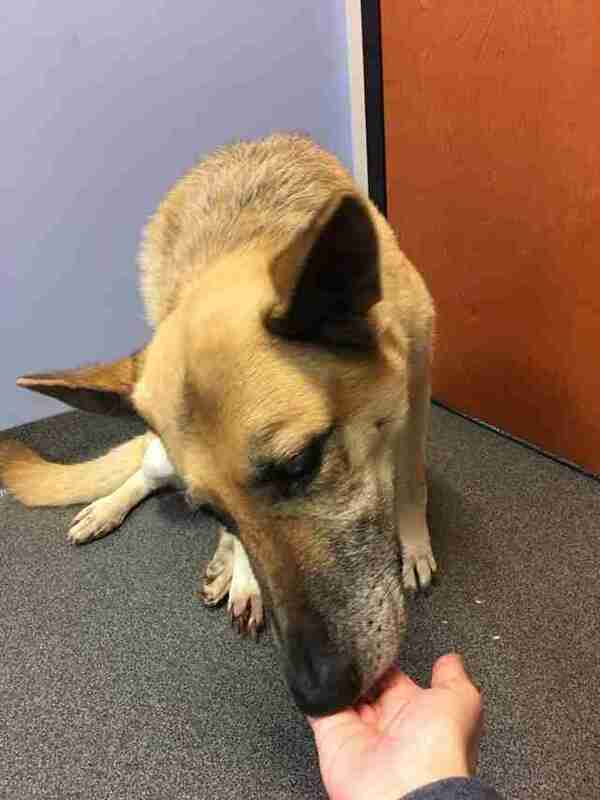 Even though she could walk again, vets quickly realized that Victoria was showing symptoms of a spinal cord disease called degenerative myelopathy, which weakens the rear legs and eventually causes paralysis. 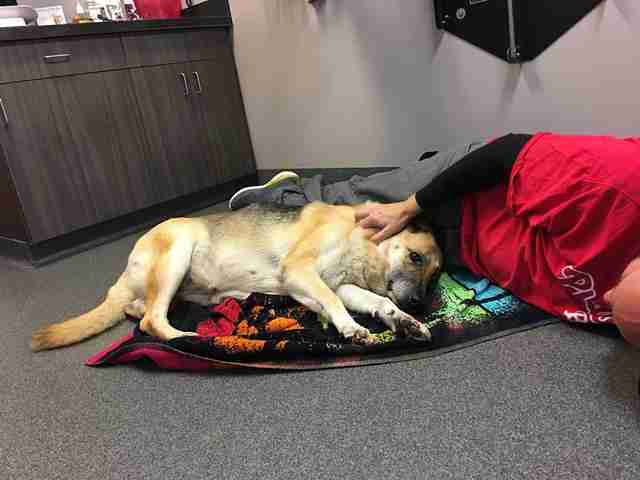 Vets believe she could have six months to a year left to live. After hearing Victoria’s prognosis, Herbert and her husband, Steve, came up with the idea to start a campaign called V For Victoria that would give her the the life she missed out on during all those years at the mill. It has included activities like buying her first-ever toy, visiting Santa at the mall and getting professionally groomed, as well as more high-profile events that simply celebrate her and her story. So far, Victoria’s bucket list is off to an eventful start. 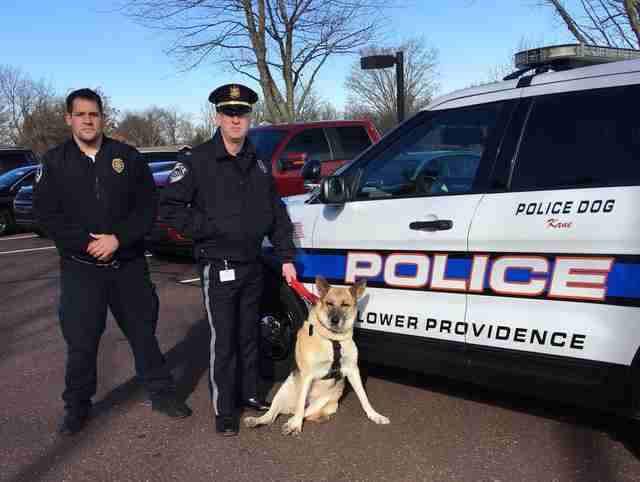 Over the past few weeks, she’s been a guest DJ on a radio show and a visiting therapy dog at a college, and was also inducted as an honorary K-9 officer at the local police department. She also has plans to become a taste-tester at a local dog treat bakery for a day, which might be one of her favorites to date. However, Herbert said, the fire department parade will be hard to top. 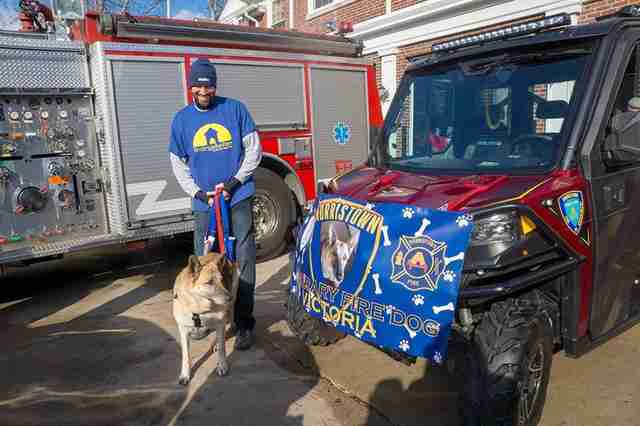 These fun activities not only show Victoria the love and attention she was deprived of, but also create more public awareness about the cruelty behind puppy mills. The Humane Society of the United States (HSUS) estimates that 10,000 puppy mills operate in the U.S. today, forcing over 167,000 mother dogs to spend their lives giving birth so that their puppies can be sold. An estimated 2 million of these puppies are sold through pet shops and other retailers each year. 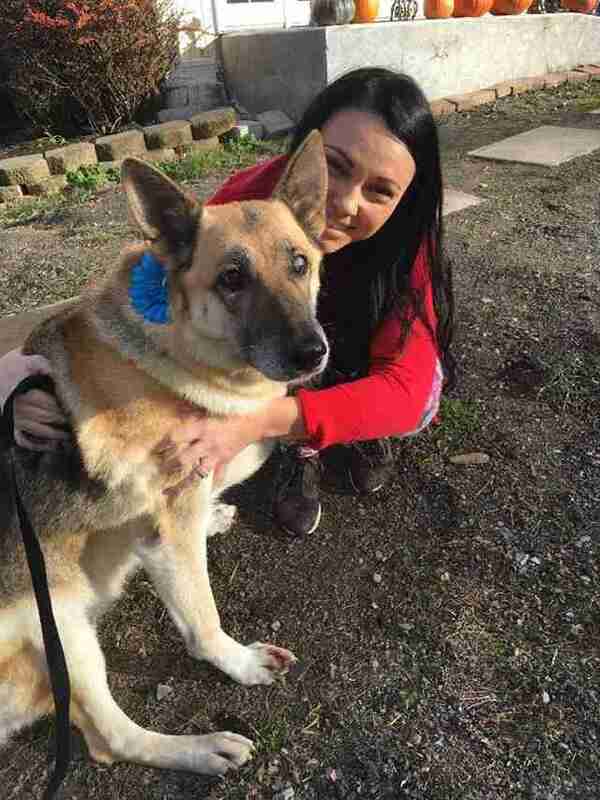 Like the mill where Victoria was saved from, most puppy mills in America are licensed by the USDA, which enforces only the minimum animal care regulations required under the Animal Welfare Act. These regulations cover only the most basic survival standards like food, water and shelter — which allow licensed puppy dealers to keep hundreds of dogs in cages for the duration of their lives with little to no exercise or human attention. While the puppies usually have the chance for a life outside of the mill, that option rarely comes for the mother dogs, Herbert said. While Victoria was a little nervous at first about all these new activities, she’s quickly come out of her shell and is gaining more confidence each day. 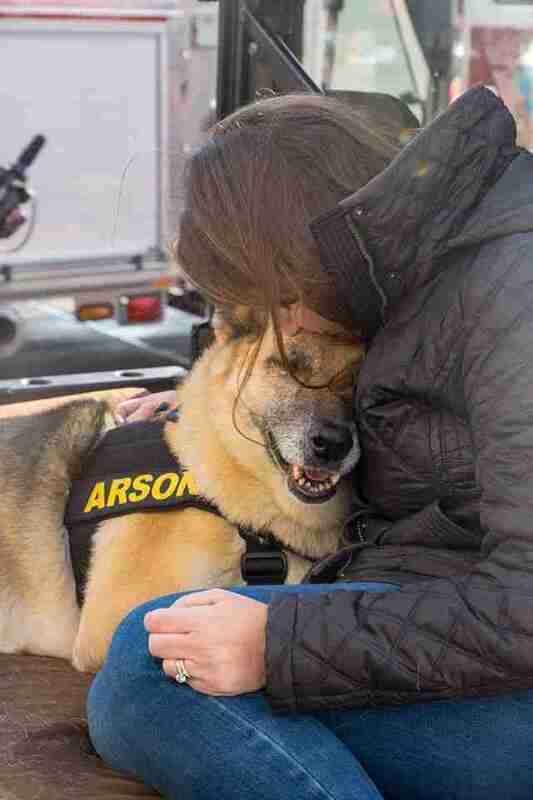 The special visits and attention from the media have also brought important connections into Herbert’s life — including a German shepherd owner whose dog recently passed away from the same disease Victoria has. Earlier this week, they offered to donate the wheelchair that belonged to their dog in case Victoria starts needing it to get around. “It’s been a beautiful thing at this time of year, when puppy purchase is at its peak from commercially bred sources, that Victoria’s happy face and her story have sparked interest in so many people,” Herbert said. For now, Victoria will go on some more fun adventures as long as she is up for them — and will continue to celebrate the life she has finally found after so many years. To support the continued care of Victoria, you can make a donation to Finding Shelter Animal Rescue. You can also take a pledge against puppy mills and donate to investigations that help shut them down.